Another simple leopard nails! I always think leopard print is one of the easiest patterns to do and yet it can be very impressive. Here I used a gold base with bright neon pink as the spots. 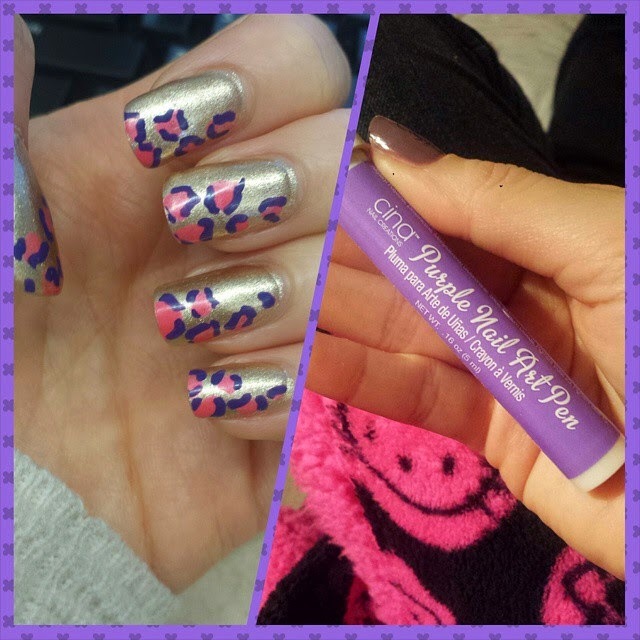 Then I used this purple nailart pen to messily outline the spots. Simple!